Are video games bad for my child? No, mostly. 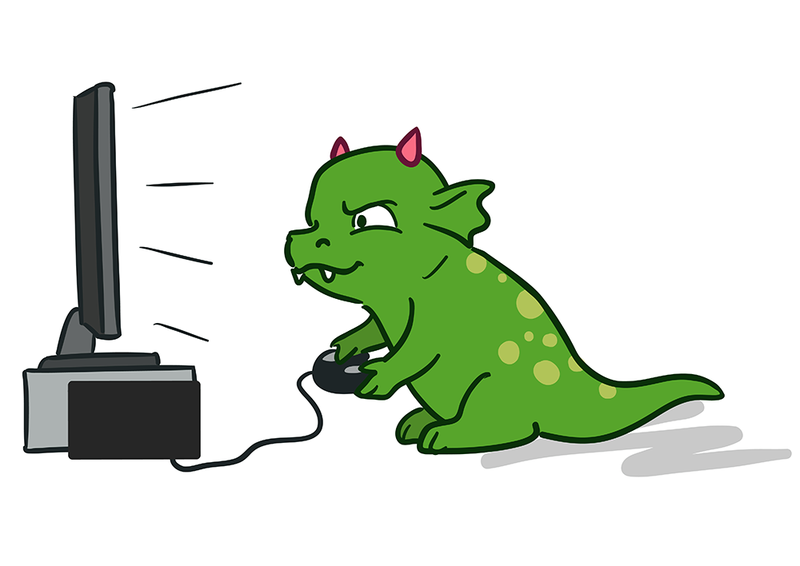 Home » Are video games bad for my child? The most common question from parents for me as a psychologist? Are video games bad for my child? The answer is “no”. Mostly. The amount of computer time – more specifically, game time – children spend makes your head spin. But the reality of video games is it’s either a teaching tool or a distraction. However, the American Sociological Association points out that homicide rates fell dramatically among juveniles during the boom of video game usage. Their point implies that any negative impact of video games is unjustified correlates positively with educational levels. Video games indeed have an educational value; just consider the effortless way kids use technology and increase the speed of their learning with those new games. Personally, I often feel a pang of jealousy with the skilled way my children use video games. 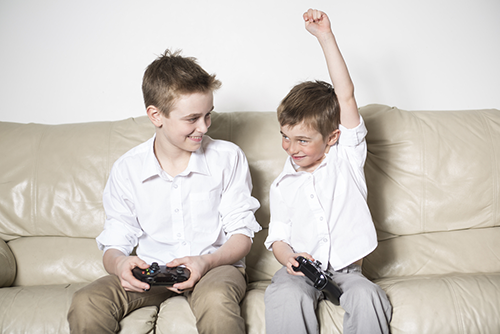 Various experts consider video games linked to positive learning: authors Williamson Shaffer et al. (2004) Hutchinson (2007) believe video games have specific tools that enable kids to be integrated into the classroom more easily. 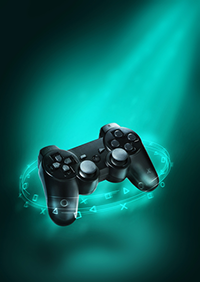 Although controversial in concept, their point is that video games help demonstrate new ways of learning, are interdisciplinary, future-oriented, fun, and promote play. Math Curve – There is evidence that video games are not bad for children because of the increase in understanding mathematics. Reading Curve – Although much more controversial, there are correlations that video games with appropriate design can help in school reading education. They might even be a “Best Blogger” in their business or work place in the future. Reading and writing skills are part of many video games. Technology Curve – Computer games have the ability to change the way humans learn. Like it or not, children are expected to understand interface in video games as they create new and engaging social and cultural worlds, and help players learn through the integration of technology. Your child will likely work on a computer in his or her future. They might not be website managers or programmers, but they need computer literacy in today’s work environment. Sociology Curve – Social interactions and thinking are engaged in the virtual worlds of games that allow an understanding of new concepts, abstract ideas and real problems. Participating players can experiment with new identities; they become members of new communities; and they share values. The new model of learning is based on the capacity of children to create their own learning trajectories. Parents might like it or not, but video games are entrenched in our culture and is becoming increasingly play-oriented in the contemporary society. Playing video games became a dominant leisure activity in the 1980s. Most scientists, however, are starting to believe that spending ‘too much’ time playing on a computer or any other platform is mostly myth. The first generation, which played lots of video games in the 1980s, is middle-aged now and violence and productivity is at an all-time high in the United States. Playing video games too excessively can have its dangers for sure. The healthy development of a child requires various forms of activity, which requires getting up from the seat and doing different things. Children should not become obsessed with games, and parents are right to limit screen time for their kids. The two rules to follow when deciding are video games bad for my child? First, the choice of games is important. Reading books is considered a good and healthy contributor to the development of children, and rightly so. However, when a child does nothing else but reads it can be surmised their development cognitively may also be limited. On the other hand, reading the right books in the right moderation helps the enrichment of personality. But let’s not forget that books can be violent, too. Secondly, children must be able to sense the difference between the reality of the real world and the alternative reality of the game’s world. They will not slay the neighbor because he looks like a zombie, but the games depicting shooting police officers or average citizens give a false sense of reality. Evil games should be avoided. In summary, children who play video games and use computers are probably better than their parents in multitasking, sharing their attention between tasks, have better reaction time, and are more skilled in the use of modern technology. Parents might be worried because they lose connection with their child as he or she spends lots of time in an alternative universe, which is unknown to the parent. Be involved in your child’s activities. It is too easy to dismiss this with ‘I have no time for such nonsense’, but children are showing a keen interest in games and parents should be interested in the interests of their children. After all, education means providing all the teaching tools at your disposal – not limiting them. Edery, D., Mollick, E. (2009): Changing the Game, How Video Games Are Transforming the Future of Business, Pearson Education, Inc.